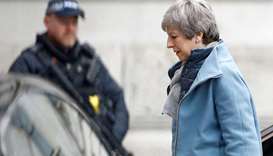 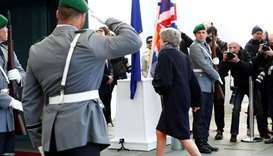 Theresa May was flying to Berlin and Paris on Tuesday to seek support for a new Brexit delay while her ministers tried to break the deadlock in London at crisis talks with the Labour Party. 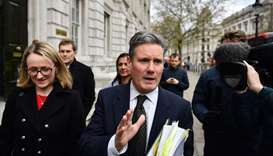 Britain's opposition Labour Party, which is holding talks with Prime Minister Theresa May in an effort to find a way out of the Brexit impasse, urged her on Friday to offer a real change to her EU withdrawal deal. 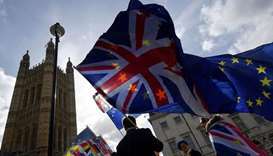 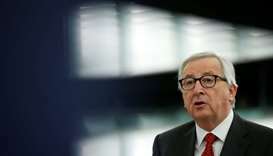 EU Commission says no-deal Brexit on April 12 "likely"
The European Commission on Friday said a no-deal Brexit on April 12 was now "likely" after UK parliament rejected for the third time British Prime Minister Theresa May's divorce deal with the European Union. 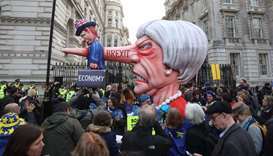 Prime Minister Theresa May's Brexit plans were thrown into further turmoil on Monday when the speaker of parliament ruled that she could not put her divorce deal to a new vote unless it was re-submitted in fundamentally different form. 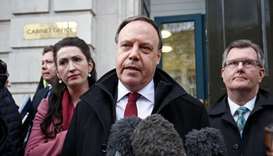 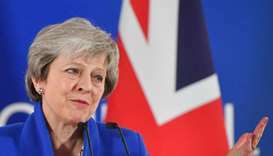 The Northern Irish party that props up Prime Minister Theresa May's government said it had good talks with British ministers on Friday to see what additional assurances would be needed for them to save her twice-defeated Brexit deal. 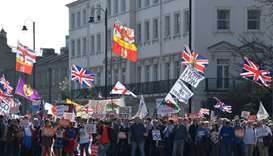 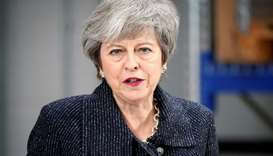 Prime Minister Theresa May urged the European Union on Friday to make "just one more push" to break the deadlock over Brexit by offering her changes to a deal to help persuade Britain's deeply divided parliament to approve it.